Total 49 worksheets are included. 1. 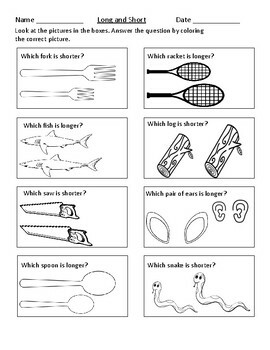 Comparing Length: long and short 7 worksheets. 2. 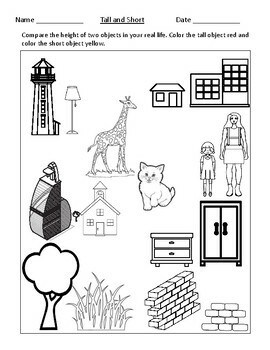 Comparing Height: tall and short 7 worksheets. 3. Comparing Weight: light and heavy 7 worksheet. 4. Comparing Speed: slow and fast 7 worksheets. 5. 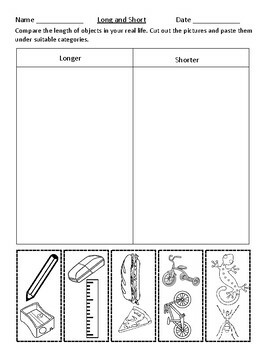 Comparing Size: big and small 7 worksheets. 6. Comparing Capacity: holds more or less 7 worksheets. 7. 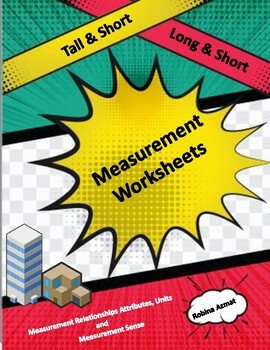 Comparing Volume: holds more or less 7 worksheets.